TORONTO – The winners of the third annual Voluntary Sector Reporting Awards (VSRAs) were announced at a luncheon ceremony in North York on November 26. What is the secret to competitiveness in the new economy? With jobs in traditional industries like manufacturing in decline, and financing for entrepreneurs increasingly scarce, communities across Eastern Ontario are seeking new ways to grow their local economies. 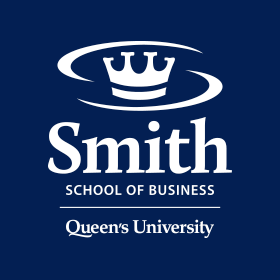 Businessweek magazine has once again ranked Queen’s MBA as the top Canadian business school, finishing second overall for international schools in the biennial business school ranking. On Wednesday, November 10th, one of CBC television’s Dragons’ Den judges will make Queen’s School of Business his own personal den. At the QSB-PELA CFDC Business Plan Competition Dragon’s Lecture, prominent businessman Robert Herjavec will share his experiences of life as an entrepreneur and his journey to become the success he is today. Queen’s Professor Steven Salterio (left), newly appointed editor of Contemporary Accounting Research (CAR), and Dean David Saunders talk with the journal’s founding editor, Professor Haim Falk, Open University and Tel Aviv University, at the 25th annual CAR Conference held in Kingston November 5-6, 2010. CAR was recently added to the Financial Times prestigious list of the top academic journals in the world.